Life | "Cat Lyon's Reading & Writing Den"
How Do Authors Handle Publicity In a Spiritual Way and Not Sound Like Bragging? Tony Gives Us a Sample. Since my book was published, I’ve not done much to get the word out. As a result, I haven’t sold many copies. People who have read it tell me what a difference it has made in their lives, but I have not followed up on this and reached out to others. Lately, I have come to accept the importance of the mission God has called me to carry out. There are so many people impacted by mental illness who are in desperate need of saving faith. As the body of Christ, it’s our delightful duty to show compassion for hurting souls. The emotional anguish caused by brain diseases like schizophrenia, bipolar disorder, and major depression, is as real and agonizing as any bodily pain caused by a physical illness. I know this. First hand. I also know the grace of God that provides a measure of healing in this life and the hope of healing in the next. For almost twenty years, I served as a pastor with bipolar disorder. I have journeyed with this illness from manic (even psychotic) peaks to dark valleys of despair. At both extremes, I have flirted with death—coming very close to ending my life and doing great damage to those around me. .
Countless times, when I have been driven to the edge of a cliff, God has rescued me and set me on level ground. Why would God do this? Because God delights in me even in disorder. Delight is first an expression of God’s love for us. Since God delights in us, we have a “delightful duty” to share in God’s joy. The media often portray the terrible extremes where untreated mental illness leads to horrific homicide or shameful suicide. What is missing is a compassionate portrayal of all the rest of us who struggle to survive and be faithful. Delight in Disorder reveals the beautiful grace of God that flows into grateful living if you have a mental illness and greater understanding if you want to love another who does. 60 people have shared the message. I’ve sold more books in 24 hours than Amazon has sold for me in 48 months. Me: D., thank you for reaching out and being open about you suicidal thoughts. It’s important that you get help. Please message me. Me: D., do you have a plan to kill yourself? When you say you have suicidal thoughts, Denny, what do you mean? I’m praying for you, brother. Me: Well, I’m very glad you’ve found a reason to live. Your kids love and need you, for sure. D: I’m reminded every day I’m needed if not for anyone else then my two biological kids. Me: Message me anytime, D.. I can’t promise I will always be available. But when I am, I’ll respond. Me: I get that, brother. Maybe you have a D. in your life. Maybe you are D. If so, get professional psychiatric and therapeutic help. And, consider Delight in Disorder to find spiritual support you will need to face difficult days ahead. Get an autographed copy of Delight in Disorder for just $12. I highly recommend Delight In Disorder. Tony has a way of humanizing mental illness and explaining things in a profound, yet simple way that resonates with his readers. Whether you have a diagnosed mental health disorder, some other kind of disability, know someone who does, or simply struggle with faith and believing that God delights in you, this book is for you. ~ Veronica J. 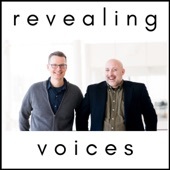 Please make sure you stop and visit Author, Tony Roberts as he has so much help and information on his blog “Sharing Delight In Disorder” about life, living with Mental health, being an author and more as well as checking out his Podcast Called: Revealing Voices on iTunes! I wanted to share with you today a good friend and his amazing writing. His blog is one of my favorite sights. Even though I mostly guest share every now and then some of his posts on my recovery blog, this particular post is about how he writes and felt it was more appropriate to share here on my book blog because as writers write for many reasons. We also write for many different purposes like for a book, a publication, an article, or just to write a new blog post. But whatever the reason or what motivates you as a writer, we can share the process behind it. Tony Roberts does this in a unique way. His site is amazing, interesting, and informative. I surely know once you visit, you will know you are in a special place. Each time I sit down before a keyboard and stare at a blank screen, I say a quiet prayer that my words glorify God and encourage God’s people. There is so much hate speech in the world today. I count it my ministry to say something not only truthful but uplifting. Speak the truth in love, as Paul writes in Ephesians. When we do, we make a tremendous impact on those who hear us, many of whom have been beaten down for years with messages that they are no good, that what they do is not worthy, that they will never measure up, that they are not loved. I had a high school tennis coach who knew the power of encouraging speech. He knew next to nothing about tennis, but he knew how to inspire us. He taught us that we each had an integral role to play on the team. He made us want to improve to become as valuable as we were in his eyes. He brought in talented community players as his assistants to teach us the game. He had nothing to pay them except his uplifting words that they were making a major difference in the lives of young men. And that was more than enough In just two years, we went from being the laughing stocks to perennial conference champs, the team to beat filled with confident young men who had someone who saw their value not just in sport. but in life. Each of us has immeasurable value as ones created in the image of God. This image has been stained by sin, no doubt. But we don’t restore this goodness with damning speech. Too often, as James shows, we allow careless speech to slip through our lips. We beat people up with what we say and the way we say it. Often this is with the best intentions. We say things we think will be helpful. We talk about people under a thin veil of concern, when in fact, we are just gossiping in such a way that we tear them down. As one who has a severe mental illness, I have experienced first hand how debilitating speech can be. When I got out of the hospital after my first episode, I found there were many more talking about me than talking to me. By God’s grace, I did receive a great deal of encouragement from some who counterbalanced the ill effects of the gossip. But it still hurt. And left permanent scars. Instead of careless speech that tears down, we are called to a sort of carefree speech that comes from a faithful heart. When genuine faith lives in the heart, it will be connected to the tongue and impact what is said. Love, peace, and joy will be seeds of hope sown to produce hope in the lives of the hurting. ““For the rest of his life, Oliver Twist remembers a single word of blessing spoken to him by another child because this word stood out so strikingly from the consistent discouragement around him.” ― Charles Dickens, Oliver Twist. Who will you encourage this week? Mystery Author and Writer Kim Carter is Everywhere. New Interview By The Atlanta Journal-Constitution ~ Talk of The Town. Hello and Welcome Readers and New Visitors. If you don’t know her yet? Please meet my dear friend and award-winning author and writer ‘Kim Carter’ who is the next big shooting star in mysteries! Now published by Kelly Keylon of “Raven South Publishing” of Atlanta, GA., I have been blessed and honored to have worked with Kim beginning in 2015 in promoting her books and author brand and with Kelly on and off to present. They say it takes a “village” and many hours of marketing until it all pays off and then “BAM! This Begins to happen!” She is featured this weekend in The Atlanta Journal-Constitution’s “Talk of Town” and what a wonderful interview it is! Before you know it? Kim and her now six published titles will be seen next on “The New York Times” bestseller list! Well, everyone has to have a dream, right? In September 1999 Kim Carter (then North) was on the way to drop her son at school before heading to work downtown when she suffered a grand mal seizure behind the wheel of her Grand Prix. She was 33, a mother of three and had never had a seizure in her life. Carter and her 10-year-old son survived the terror and no one was hurt but the event set her on a long path to recovery. Carter credits her immediate survival to the brave couple who helped guide them to safety. But as the weeks of medical exams, medications and despair turned into months, she said it was writing that saved her life. Eight months after the incident, Carter began writing mysteries like the ones she read by her favorite authors including the late Sue Grafton and Atlanta-based Karin Slaughter. It would take several years, but Carter would eventually publish the books that once lived only on big floppy discs. Her 2016 novel “Murder Among the Tombstones,” — the first book in a series about two 70-year-old women who decide to become private investigators — is a finalist for the 2018 Killer Nashville Silver Falchion award for best thriller. The winner will be announced Aug. 25. She had only learned about what happened that day after the fact. How her foot stiffened on the pedal and sent the car shooting down GA 138 at 70 MPH. How a passing couple realized what was happening and drove their car next to hers to warn other drivers out of the way. How her 10-year old son, Austin, would climb down to the floor, push her foot from the gas and press hard on the brakes until the car rolled across several lanes of traffic and came to a stop near a Saturn dealership. Carter spent three days in the hospital and underwent weeks of medical testing. She searched for and found the couple that helped her. She even appeared on several televisions shows and in an AJC story. It was an emotional time, said Carter, and the seizures just wouldn’t stop. It was hard to shake the anxiety and depression that her condition had brought to her life. She was a mother of young children but had limited mobility and her marriage was headed for divorce. One day, she sat on the swing set in the backyard and resolved to do something to help her find some peace. So she moved an old desk into the laundry room, set up her computer and started writing. When the kids were at school or at night when she felt she needed to decompress, she was at her computer coming up with characters. Initially, no one knew what she was doing. But gradually she would print out her pages, roll them up with a rubber band and share them with neighbors. In 2002, she began working on her second book. This time she did a lot of research. She visited a warden at the prison and an inmate on death row. She went to the Fulton County Examiner’s Office and began networking. The process got her out of the house and lifted her mood. She began outlining her stories using sticky notes and storyboards. Though she was in and out of the hospital several times with health issues, her kids were thriving and her hobby kept her engaged. Over time she reconnected with a family friend and after a shared dinner, they married in 2004. Her husband, Julius Herron encouraged her writing and she began sharing more and more of her manuscripts. In 2005, she self-published her first book, “No Second Chances,” and threw a big launch party at the performing arts center in Newnan. They made the rounds of book fairs, sold books online and when they traveled they would give away books to people all over the globe and watch orders come in from around the world. Then the seizures came back. Julius set up a new desk and office for her. She cried over her old beat up desk but began writing again. For her next book, she worked with a small publishing house. When the book was released she had a signing at Barnes and Noble and sold more than 200 books. But despite what felt like success, the deal with the publishing house wasn’t a good one. Carter was disappointed and tired. Her self-esteem plummeted. “I felt like I wasn’t really a writer,” she said. So she stopped writing for about a year. She began to feel depressed and the seizures started up again. Julius thought it was because her mind was idle. Four years ago, when the couple visited a convention for owners of greyhound dogs, they met Kelly Keylon, co-owner of Atlanta Water Gardens. The became fast friends and Keylon also encourage Carter to write again. “You have talent. You do not want to give up,” he said to her. Keylon was so sure of Carter that he founded Raven South Publishing to publish her books. They had to learn how to run a publishing company from the ground up and learned a lot as they worked with printers, cover artists, and editors. It turned out to be the book in which Clara and Iris, the nosey widows who launch a second act as investigators were first introduced. She patterned the two characters after her mother and her mother’s best friend. “Readers love ‘Baby Belle” but I think what they loved the most were those two characters,” Carter said. So she decided to focus a series around them. “Clara and Iris offer a humor break but they are also very smart women,” she said. She is now working another Clara and Iris book called “Murder on the Bayou” in which the two women buy an RV and hit the road! Soon after the idea formed, Carter hauled Keylon out to Greenville to look at an old RV so they could all take a road trip in October to do research for the book. Carter hopes her readers feel like they know her characters and she loves meeting with fans. “I love doing book clubs and meeting people who read and hearing what they think about the books,” she said. At the end of the book club meetings, she leaves everyone with a note to send out to someone that has influenced their lives in big and small ways. Carter also continued her connection to Baby Belle. She and Keylon have donated five large angel statues to the Old Biloxi Cemetery to watch over all of the babies buried there. The Killer Nashville nomination has helped give Carter the boost she needed to continue to reach higher and write the kinds of books that readers want to read. You can connect with Kim Carter on Social Media and please visit her website too. Twitter – Official Website – FB Kim Carter Mysteries – And On Amazon. Update on our Co-writing Journey. What Personal Info is Too Much Sharing When Writing Your Life Story in a Memoir and Legacy? Hello and Welcome Readers, Friends, and Bronco Fans! A Memoir is a collection of memories that an individual writes about moments or events, both public or private, that took place in the subject’s life. The assertions made in the work are understood to be factual. So our writing journey has begun and is moving along. Now I want to be transparent as possible as Vance and I continue to write together. I spoke with Vance yesterday and he is moving forward with working with a marketer and making choices on what type of book cover to go with. Do we do that now? Or do we wait to read the full manuscript first? Your thoughts readers? I also want to share a little about the process of writing and how at times one can be unsure of themselves of what to share about one’s life. We would love feedback from all who visits this post as a ‘Wee Bit of Encouragement’ to my writing partner. We’re exploring the topic and feelings of writing about others in the memoir, but is there a line we just don’t cross? Now? Vance is struggling a little with some of these decisions as we write. What does he expose or not about his family, events or old memories about growing up as to NOT hurt or offend his parents, sister, or others? I explained to Vance that his book and the journey are not about them or others, it is about him and looking at the past pain and events that had an effect on his life and had carried that into his adult life and how he made it through to the man “Standing In Grace and Saving Lives from Addiction today. Am I Wrong? How do you feel about that? GOD never promised us a Perfect Life without trials and lessons to overcome. Vance has come through many storms and trauma from addictions. My own side of the family and I had been estranged for about six years before my book was released. But Vance’s family are in his life, but just not aboard with this book project. So, do we share the good, the bad and the UGLY? Or do we change direction or not write his memoir chronological and start in a different place? Isn’t this part of Vance’s healing process of taking stock, process and then turn it over to GOD? Or is there a fine thin blue line between the paper your not to cross? Any feedback, advice, and comments would be helpful and appreciated. It is why we chose to invite everyone to follow our journey. Your voice and advice is important for our project. About My Book, My Writing, and My Book Blogging Ramblin’s. . .
Now it is no secret that many of my blog friends, my followers, and readers who come for a visit know that a live life in recovery. I share this a LOT. But I also need to keep in mind those of my visitors that are new to my book promoting blog may not know this about me. 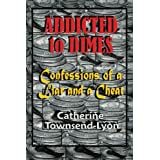 They may not know that my current book titled; Addicted To Dimes, Confessions of a Liar and a Cheat, is some what my Memoir of my life, starting as a wee little girl to about 2012. And I can honestly say that my life has changed in SO many ways since my book was released on my 50th birthday! Yes, I’m 50 something, but age is just a number people! That was in November 2012. My book was written & shared with the intent to make readers who also live in recovery from any addiction know they are not alone. That they can recover and overcome! I can also honestly say, that my writing has become so much better as well! LOL. We all know great editors can help make our words come to life, and they can make our words within the pages of our books look and sound good. But as a writer, the rest is up to me. Is my storyline strong enough? Or did I grab the reader, did I hold their attention with my craft and prose till the end of my book? These are many questions all of us as writers ask. One of the ways we learn what readers think about our books is through the power of book reviews. I take all my book reviews from 100% organic readers very seriously. Now, not to brag or toot my author horn, but I have been blessed with most all 5 star Amazon Reviews, and one 4.8 review. Not bad for a first time writer/author. But I did work very hard for those reviews. I do believe all writers and authors do. And we take our craft as writers seriously. Not to say you can’t have some fun along the way right? And I do believe that. Look, over 8 years ago, if some psychic lady told me I’d be a writer and published author in my lifetime? Man I would have laughed in her face. Really! I would have, as it was never on my life radar. Now, am I a good writer? Well, I hope so. My readers seemed to think so as far as their book reviews of my current book. Writing for me is a release. Yes, my book maybe hard subject matter, but many who have never experienced addiction, or the joy of triumph in recovery, or even may not know anyone with addiction problems, but many readers say they learned much from story. they are meant to not only help those in recovery, those reaching out for help, but also they are about creativity. Many people journal in recovery. I do, and I have for years because it was the only way to see my positive progress in recovery, and also my weakness’ where I needed to work harder in those area’s. Well I look at writing the same way. We as writers are always learning and evolving. We grow in our craft as writers the more we write. Wring came natural to me because I was already journaling a long time. Now, that is not to say because one writes in a journal or diary, that now you’re a professional writer. Oh no, but many of us who do write enjoy it as it puts our mind, heart, and our imaginations to work. Of course, these are just my own experiences. Since my current book is non-fiction, about addiction, my life, and recovery, this topic is much harder to write. There is a very fine line for sharing a story of addiction without readers feeling you are using excuses, rationalizing, or blaming things on someone or something other than my poor choices when I was deep in my addictions. I feel the same when writers write fiction. The characters and storyline needs to come alive. And that can be a tough job. My own struggle is the darn endings, or close out of my books, that is my weakest area as a writer. When this is accomplished with your books, and readers tell you through their reviews or maybe comments on your blog or website, there just is no other fantastic feeling ever as writer. It is also why I book promote as my business. I enjoy helping other authors find their readership, and have the honor of reading many fabulous books they have written. If you’re an author and need some advice or tips on how to promote your books? Then check out my new Feature Page of Book Promoting tips here on this blog. Many authors hire me to just pure book promote for them, so they can continue to write more books, and have the peace of mind knowing I’m getting out there for them promoting their work through all forms of social media, book promoting sites, with a dash of sending out Press Releases announcing their books to many media outlets, book bloggers, and internet media. I enjoy doing this for all authors at very affordable prices. I want all of us to be successful, and make sure readers find all our amazing reads. My clients are authors helping authors. I hope you enjoy my Book Promoting Blog while your here. If you’re a reader, check out my Monthly Hot Book Picks page, and if you’re a writer? Keep Writing! !